Even though the heat is said to boost your athletic performance (according to research from the University of Oregon), smashing a workout when it’s warm isn’t just a performance issue - it’s a safety issue, too. Hot weather causes our internal body temperature to soar; so while we’re sweating like crazy to cool ourselves down, we run the risk of becoming dangerously dehydrated. Don’t forget to replace fluids both during and after a workout - and drink plenty of water at least one hour before you head out, to top up those fluid stores. It’s also best to take it easy, not pushing yourself too hard when it’s super hot and to avoid working out between 10am - 4pm (when temperature is at its highest). Our golden rule? Always slather yourself in sunscreen. We’re talking SPF 30 minimum, with zinc and titanium properties which stand up well against sweat. Don’t step out of the house without it - even when it’s hazy (UV rays can penetrate clouds and fog). 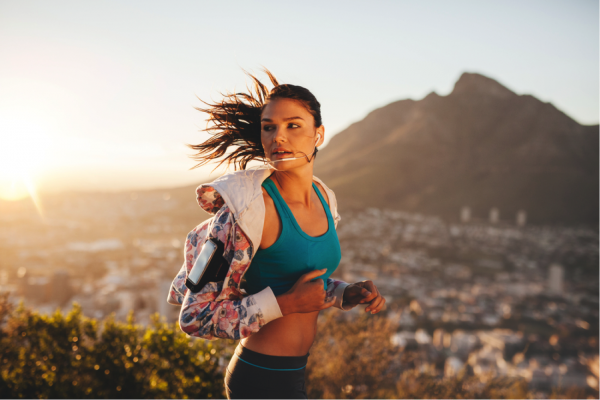 If you’re raring to sweat it out during the hottest months, here are five of the best and safest ways to do so. Take to your favourite shady spot to complete a series of low impact movements - stick to squats, weights and stretches. You’re aiming to work yourself enough to elevate your heart rate without pushing yourself too far. Enjoy the gentle warmth of the early morning sun on your face as you move and meditate with a yoga session first thing. Embrace the opportunity to be at one with nature and enjoy the freedom of endless space to perfect your poses - whether in the garden, at the park or on the beach. An alfresco dip in a secluded lake or river is just what you need when the sun is at its harshest. 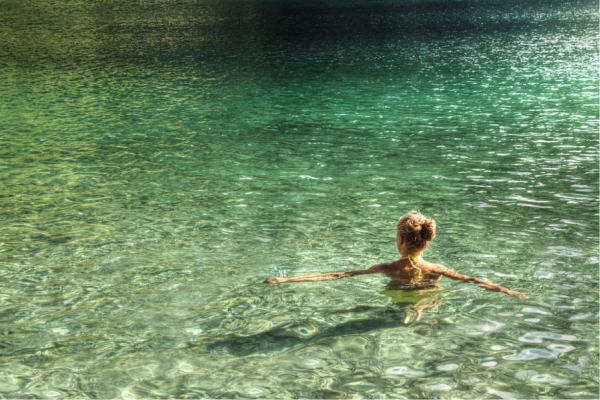 The cool waters offer respite from the intense heat, allowing you to refresh while you workout. If the sun is beating down in an unwavering manner, head to your local gym to get your fitness fix. 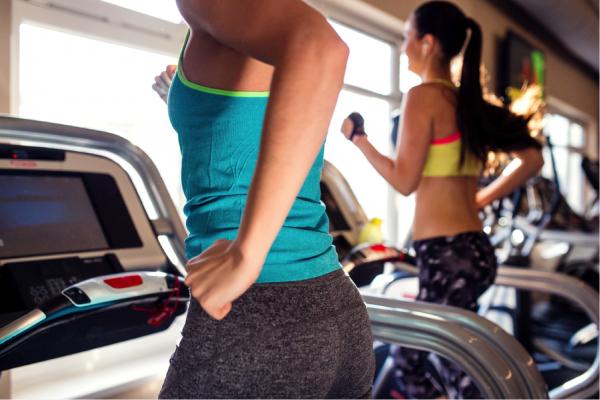 An air conditioned haven is just the environment you need to get an intense workout in without jeopardising your safety or health. When the weather breaks (and it inevitably will do) grab your running shoes and head out into the downpour. 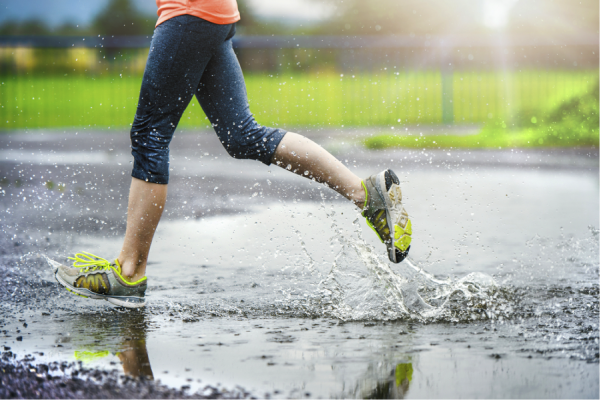 Pound the pavements and enjoy the cool splash of the standing water while you can - just don’t forget to hydrate throughout your run as well as afterwards.